Today was a big day for me. The proprietor of the boulangerie where I get my daily croissants and baguette greeted me with a friendly, “Comment ca va?” (how’s it going?) when I came. In spite of my limited French, we had a friendly little chat. Before today I hardly got a smile. Since the Parisians are not known to be warm or friendly, I felt welcomed to the neighborhood. 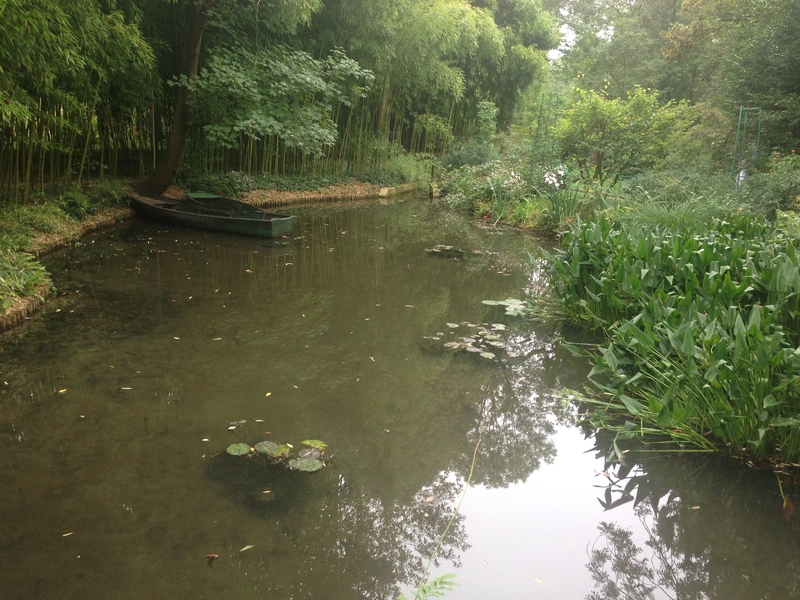 We took a forty-five-minute train to Giverny to visit Monet’s garden. Paul and I have gotten pretty good at navigating the Metro system and even knowing when we need to hustle down the stairs to catch a Metro just as it pulls into the stop. We were humbled today when we hurried down the stairs, dashed on board just as the doors were about to close, and realized we had gotten on the wrong Metro. At the next stop, we got off, boarded the right Metro and made it to the train station in time. 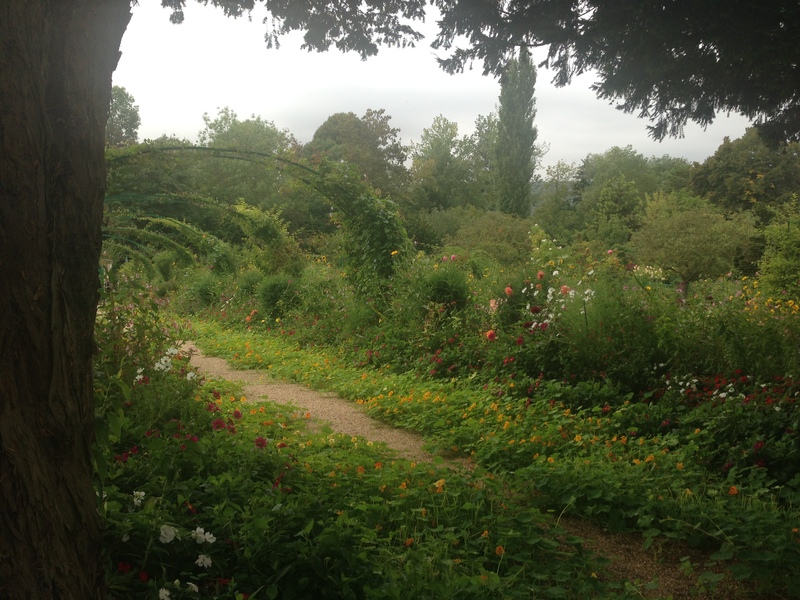 At Giverny we toured Claude Monet’s beautiful gardens and home. 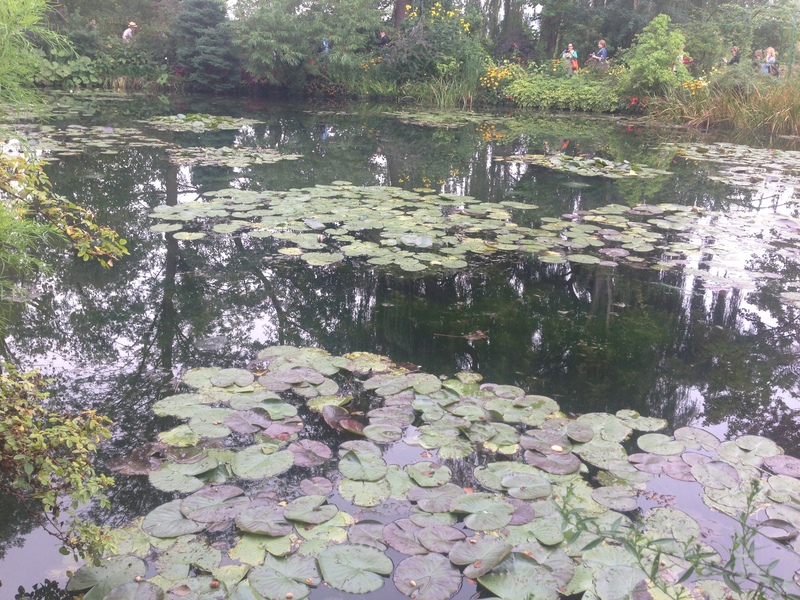 As a middle-aged, successful artist, Monet moved his family to Giverny, about 45 miles from Paris and developed beautiful gardens, including a Japanese garden and lily pond. Trellises in the garden in front of his home. 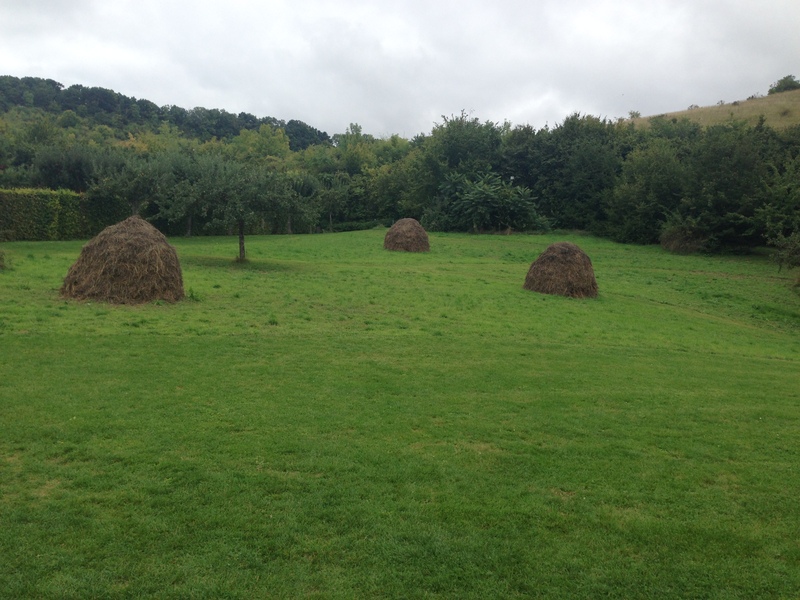 They even had a few haystacks. This entry was posted in Paris 2013 on September 22, 2013 by debbie.